I’m a sweater. There’s no doubt about that. Even in winter with the slightest bit of effort, it can feel like I’ve just been caught in a shower. As a result I’ve never really got along with fully closed off aero helmets so having some decent ventilation is an absolute must. I was intrigued to give the Kask Protone a go, particularly as it aims to bridge the gap between fully aerodynamic and fully ventilated helmets. The Protone has a similar shape to the Kask Infinity – which is aimed at being more aero with its almost completely covered top – but features large vents at the front with a much more covered rear. The aim is to offer reduced drag over a standard ventilated helmet. So far sounding so good. Aero and ventilated: what’s not to like? First off, let’s talk about fit. I’d say this is certainly one of the best fitting helmets I’ve had. I really like the shape and size and it fitted snugly and looked the part too. No mushroom head here, and there’s enough adjustment in the dial at the rear to get comfort almost spot on. Likewise the addition of the leather strap was a nice touch to make things more comfortable around the chin too. I found the rear plastic parts that fit against your head did occasionally dig in and feel a bit uncomfortable at first, but I was able to sort the adjustment to prevent this happening. The Protone is also lightweight for a semi-aero lid, coming up at 220g for a size medium, beating a lot of its top end rivals like the Giro Synthe (at over 240g). 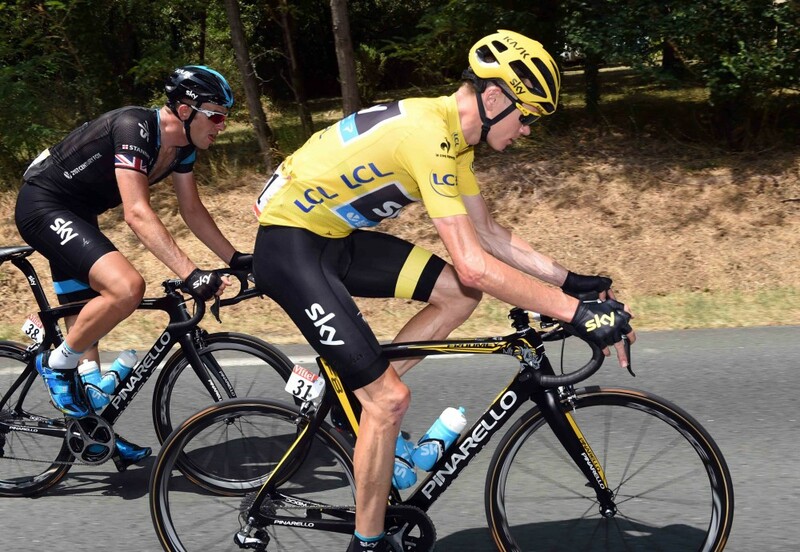 In terms of ventilation, the Kask Protone was very good, but perhaps not good enough for the hottest of days, and could explain why Team Sky were seen wearing the new, heavily vented, Kask Valegro helmet during the 2017 Tour de France. The Protone managed to avoid one of the worst helmet annoyances of all – funnelling sweat so it drips down on to your sunglasses – but on the warm days I definitely could have done with some extra ventilation, particularly at the rear. Despite that, this is really a great all round helmet and a very decent option for those looking for aero benefits with a bit more ventilation. I liked the way it looked and particularly so in the deep red colour I had on test. At an RRP of £200, the Protone represents a pretty hefty investment for a helmet, though you can get it for as low as £130 now if you shop around. It’s a bit more than some competitors, but it’s hard to see you feeling disappointed once you’re out on the open road with it. It's expensive, but it is comfortable and impressively light. The ventilation may not be on par with a fully vented option, but this a very good helmet and a great hybrid for those looking for a semi-aero option.